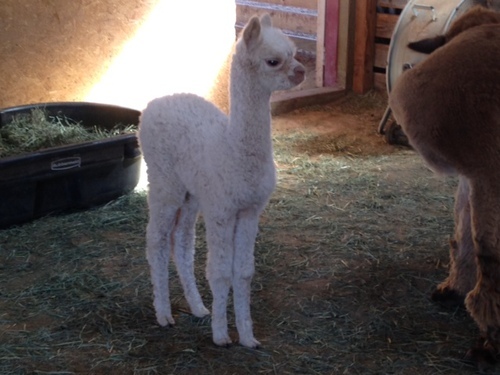 Son of 4Peruvian Mona and 6pPeruvian Accoyo Titan and full brother to Magical Farms Running Late. Beauty's genetic background is wonderful. 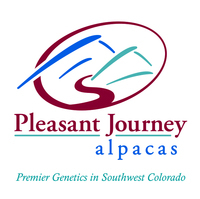 Sire is PC Awesome, some of 4Peruvian Mona and 6Peruvian Accoyo Titan. PC Awesome is a full brother to PC Running Late (sire of Candy Man!). 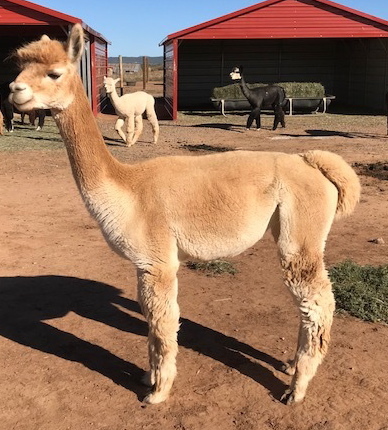 Her dam is packed with the genetics of PPeruvian Royal Fawn and 4Peruvian Altiplano Gold. Beauty's show record is impressive with 4 blue ribbons and 3 championships in 4 shows! 7/2/2016 update- Beauty presented us with a GORGEOUS white female! Princess Lily of PJA is a multiple blue ribbon winner! 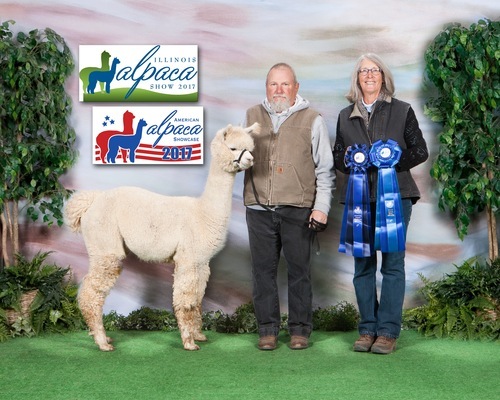 Lily is always in the top of the classes in walking fleece and fleece shows! July 2017 update- Beauty presented a true black male sired by NeverSummer's Manchester! Beauty's oldest daughter Total Kaos is one of our foundation females and gave us a gorgeous white female in 2017. Thus, you can see the family genetics are wonderful! 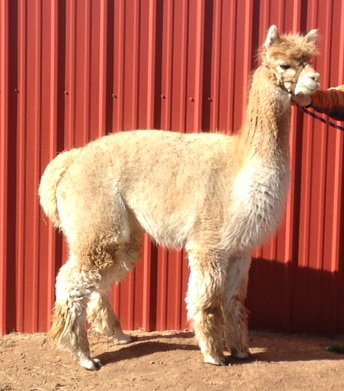 and AlpacaFest Oct 29, 1022. Level V show- Judge's Comments: "low micron, Elite Crimp, Density through entire body - very close to the Color Champion". and - ALSA National Champion Show, Oct 2, 2011- Another very large fawn class. 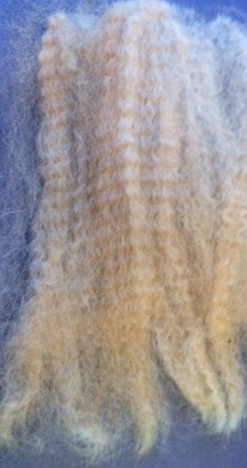 Judge's Comments: Hands Down Winner- Elite, Dense, Low Micron Fleece- Cannot get Better than that!" MABA- Huge Juvie class, Beauty was youngest in class! Judge- Helen Humphreys- "very nice, shine, dense, correct female"